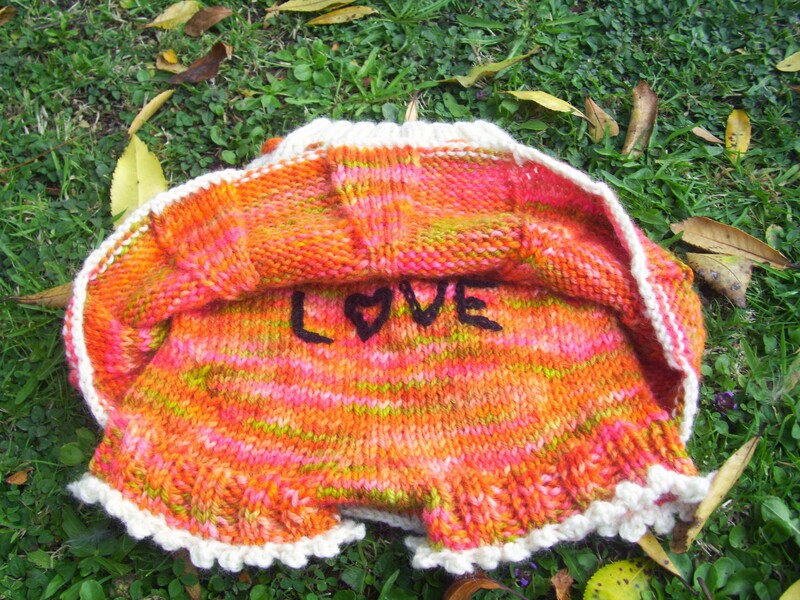 The falling in love skirty is a hand knit, woollen nappy cover. 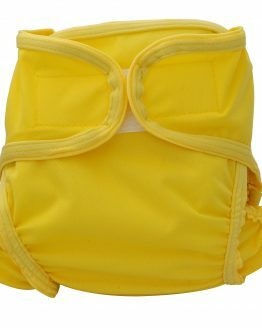 Wool makes a fantastic, breathable nappy cover. 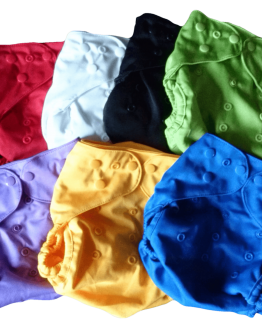 It absorbs a very small amount of liquid, which them evaporates away, and stops nappies from leaking or feeling wet. 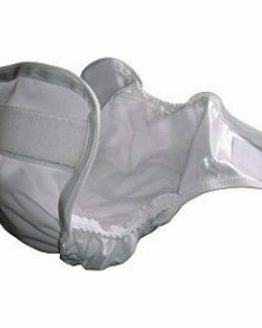 Great for use over a fitted or flat nappy that needs a separate cover. Wool generally only need airing between uses, unless actually soiled, and should only be hand washed every month or so. At this time we suggest you treat with lanolin to help maintain the waterproof qualities and to stop it from smelling. 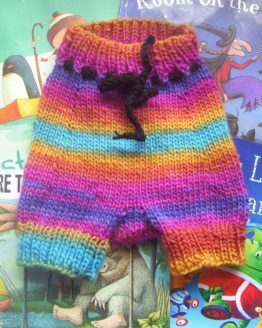 Hand knit from the bubble bum bloomers pattern with an attached skirty. It has “love” embroidered on the back of the bloomers. 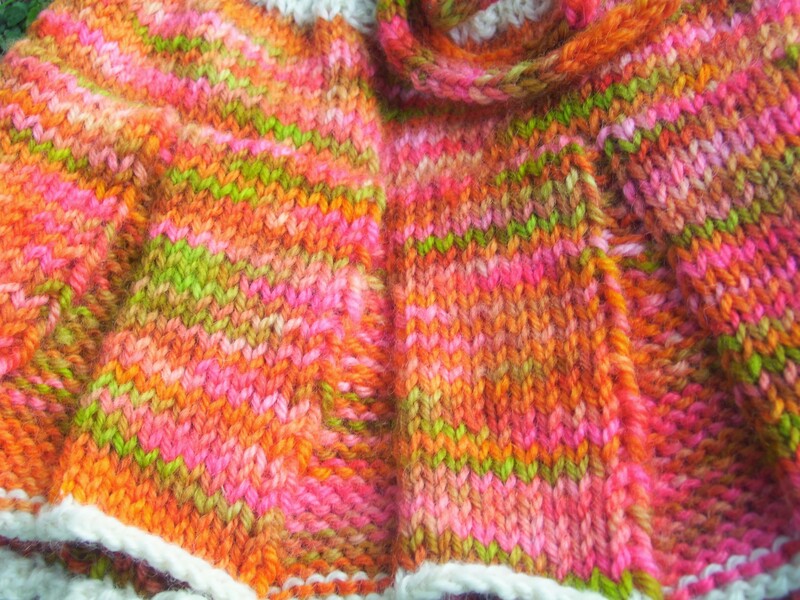 The yarn is New Zealand wool that has been hand dyed in this pretty autumn colour-way, with contrasting cream edging. Made in New Zealand from New Zealand materials, making this a truly Kiwi item of clothing for your little one. The falling in love skirty is to fit a baby of approximately 12 months, but please check your little one’s measurements before purchase. The rise (measured between the legs from the waist to the same point at the back) is approximately 45cm and the hips are to fit approximately 50cm.